Types of Sugar: Which Kind Will Make That Recipe Blissful? Sugar! Even the word evokes sweet thoughts. It’s no surprise, as we use different types of sugar to do so many things. From Mary Poppins’ “spoon full” to help the medicine go down, to flavoring our favorite foods in delightful ways. It can lift your mood and sweeten your day, elevate your coffee and make your pastry divine. Due to major overuse in commercial foods, sugar’s reputation has taken a hit. 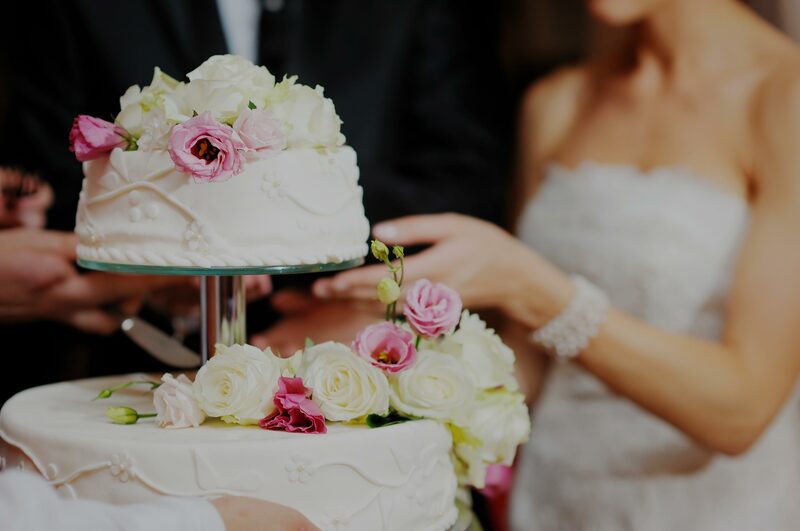 However, sugar will always be a key ingredient in one type of food prep that even the most healthy among adore on occasion: Baking! Baked goods and pastries are a rich cultural tapestry of delicious delights. And unlike processed foods, baking with sugar still entails honorable craftsmanship. In this spirit let us dive into the types of sugar, how to use them, and your options when you don’t have the exact kind you need. 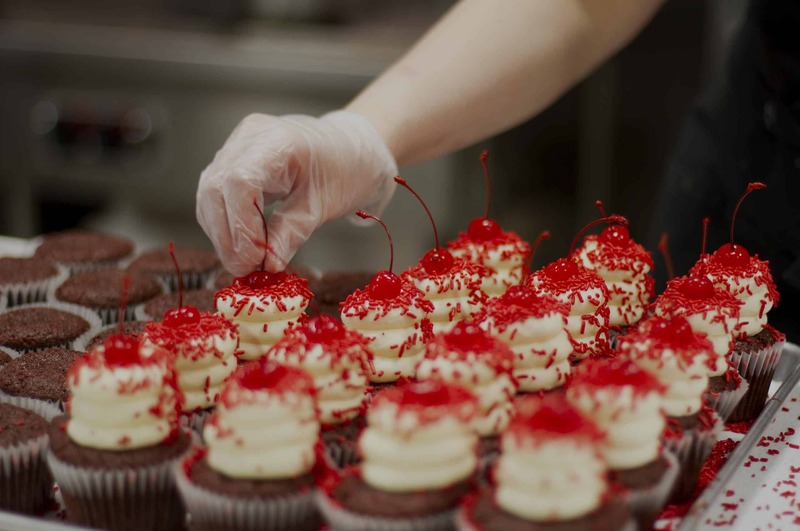 Why Do We Bake With Sugar? In a world of endless access to all kinds of recipes, what makes one go from good to great in the kitchen? As with most activities, doing it right is often only half as important as knowing why it’s the right thing to do. Naturally, all types of sugar make things sweeter. Besides that, though, there is more than meets the eye. Or the taste buds, in this case. Different kinds of sugar, as we will go into below, serve different purposes in baking. First, sugar is the primary agent in making food look GBD (Golden Brown and Delicious). Any browning, from a seared steak to a freshly baked loaf of bread is due to a specific chemical reaction between amino acids and sugars. This food chemistry is called the Maillard reaction, named after French chemist Louis-Camille Maillard. And as all know a perfectly golden brown surface signals deliciousness that transcends mere sugary sweetness, hence the D in GBD. Secondly, sugar is somewhat essential to achieve the proper texture. Because sugar binds with water in your batter, it interferes with gluten-forming proteins. Gluten is the star of the show when it comes to “binding” your ingredients together. Sugar slows gluten’s “role” — it keeps your cakes, bread, and muffins soft and tender while gluten holds them together. When you think sugar, chances are you see granulated sugar, and for a good reason. It’s cheap, readily available in every supermarket, versatile and familiar. It is made primarily from sugar cane and sugar beets, and also known as white sugar, or just plain old sugar. It is widespread and standard for a good reason and the benchmark for other types of sugar. If your recipe doesn’t call for any specific type of sugar, this is your huckleberry. Sometimes knows as superfine sugar, caster sugar is technically the same as granulated sugar. The difference between the two, however, is that caster sugar is ground finer compared to the larger crystals it comes from. It sits between granulated and powdered (confectioners) sugar for consistency. Because of its texture, it can be applied differently to plain old sugar. 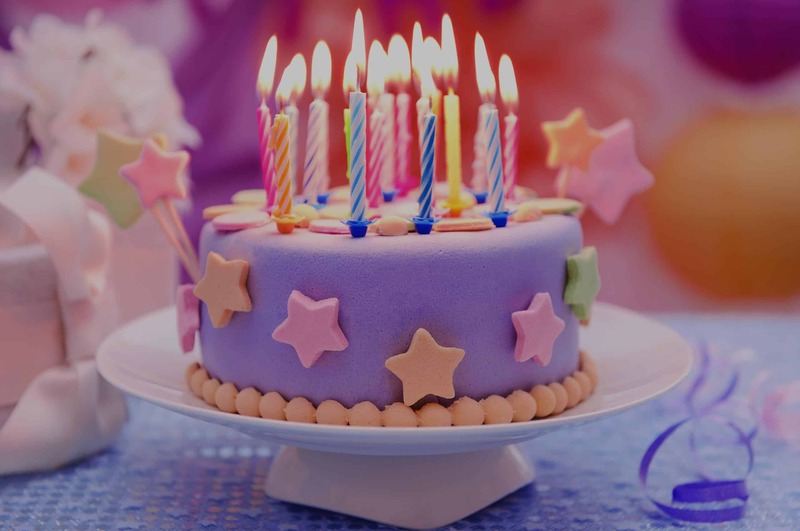 It makes cakes lighter and more tender. Its texture makes it dissolve quicker than granulated sugar, turning it into the first choice for meringues, syrups, sauces, or when making cocktails. In case you are unable to find caster sugar or want to be a crafty consumer. Pour granulated sugar into a food processor and blitz until you reach your desired coarseness as a caster sugar substitute. This fluffy, silky sweetener, is also known under its pseudonym of powdered sugar. Arguably the second most popular form of sugar, like caster sugar it is a finer version of granulated sugar – but with a twist. It is so fine, the crystalline texture of granulated sugar becomes a light powder. To prevent confectioners sugar from clumping, cornstarch is in the mix. While this usually only makes up around 3 percent of the mix, the starch combined with the fine texture means that you can’t substitute powdered sugar for granulated sugar. It behaves differently when mixed, and the cornstarch can affect the texture of your dough. It has enormous potential for decoration, as well as dissolving fast. Dust it on desserts (what is a chocolate mousse without a layer of snowy sugar? ), or dissolve it into frosting or icing. Another variety of white sugar, pearl sugar’s defining factor are its crystals. Our previous two types of sugar have been rather fine. However, pearl sugar consists of very coarse, very hard nibs of sugar. More than that, however, its hard texture does not melt like other types of sugar when exposed to heat. As such it can never be used as a white sugar substitute but works fantastic for decorating pastries and cookies. It is also a mainstay in Scandinavian baking, so look for Nordic recipes for inspiration on how to use pearl sugar the best. Brown sugar is, at its core, white sugar with molasses added to it. Molasses is the byproduct of refining sugar beets and sugar cane into sugar. Besides its namesake brown hue, brown sugars gain a distinct caramel flavor from this addition. It has a sandy consistency and is moist compared to white sugars. Depending on the amount of molasses added, brown sugar varies from light to dark brown sugar; these can be used interchangeably though. 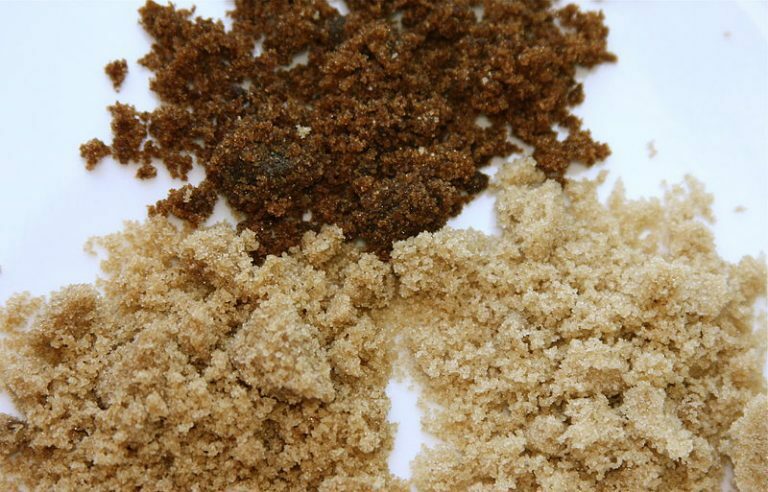 Generally speaking, despite its difference in color and appearance, brown sugar can be used for the same purposes as white sugar. Especially whenever a slightly richer flavor is desired, for example for a pastry like a gingerbread, brown sugar becomes the preferred choice. Besides its baking purposes, brown sugar is also a staple in many cuisines across the globe. South East Asian countries such as Malaysia or Thailand use it regularly. Brown sugar can harden, or dry out, relatively quickly when exposed to air, so use an airtight container to assure maximum usability over time. For some quick storage tips, to keep your brown sugar at its best over long periods or in a dry environment, keep it in your freezer. It should not be stored in your refrigerator. Visually very similar to brown sugar, demerara sugar is sugar that does not have all its molasses content cooked out of it. Belonging to the family of “raw” sugars, it is a hefty, very grainy and very crunchy type of sugar. Therefore, its uses are somewhat similar to pearl sugar, in that it works great as a decorative sprinkle for added texture on top of baked goods. Unlike pearl sugar, though, it does dissolve, and its distinct flavor makes it a great addition to tea or coffee. It is very comparable to Turbinado sugar, which you can use interchangeably. While technically not sugar, their high sugar content makes honey, maple and agave syrup candidates to replace many types of sugar. Use them freely as a sweetening agent for tea or hot cereal. However, if used for baking, things become a bit more complicated. As we already discussed above, its sweetness is not sugar’s only purpose in baking. And because of that, you have to account for some differences. To substitute honey or another natural syrup sweetener you need to take three things into consideration. First, they have a higher liquid content than sugar, meaning you have to adjust the volume of liquid ingredients in your recipe. Second, their extra sweet nature also means you need less of them than sugar. Finally, with honey you should also add some baking powder to the mix, to balance out some of the acidity. You should add about a quarter (1/4) teaspoon of baking powder for each cup of honey. The conversion of liquid honey or maple syrup to honey changes with volume. At one tablespoon, they are about equal, but for three cups of sugar, you will need one and a half cups of honey. We recommend taking a look at a conversion chart. This way you make sure you will not be ruining your recipe. 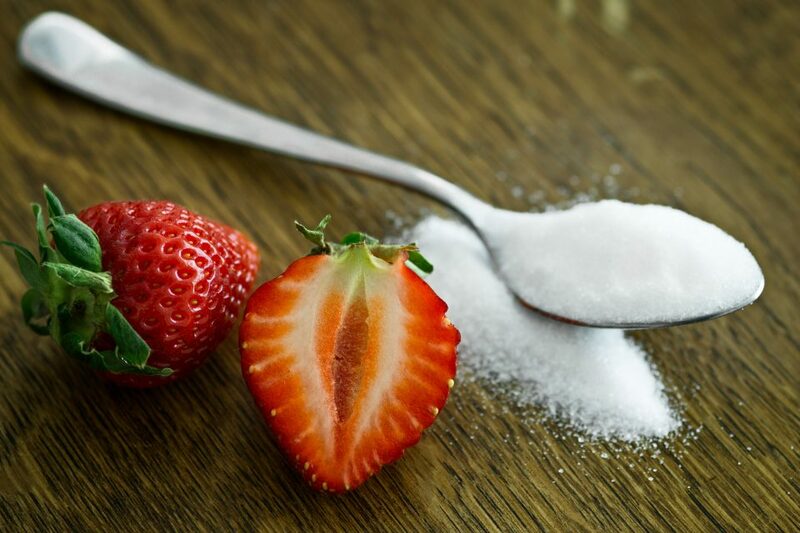 Last but not least it is time to take a quick look at some healthy sugar substitutes. The most famous one is stevia. 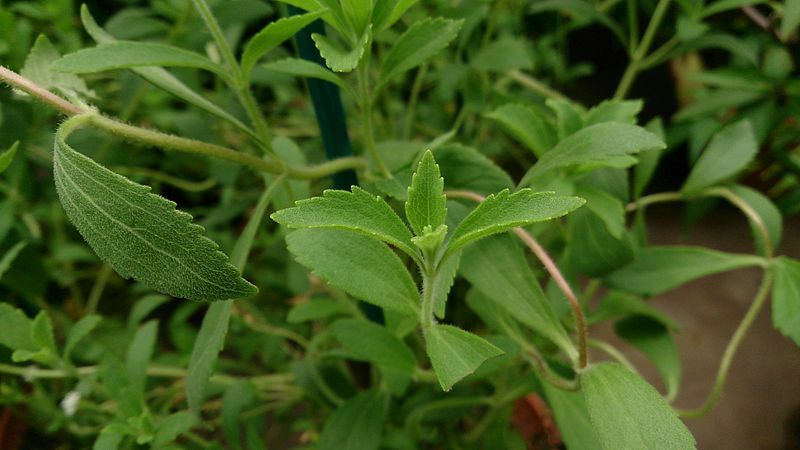 As an extract of the stevia plant, it has 150 times the sweetness of sugar, meaning you will have to use a lot less to reach the same amount of sweet deliciousness. This difference in needed volume however also represents an extra challenge to overcome when baking. To make up for the loss in weight, and the resulting damage to texture, a “bulking agent” is crucial. In most cases, the best candidates are mashed up bananas, fruit purees, applesauce, or even egg whites. Those have the added benefit of much needed dietary fiber as well. This doubles-down on the health benefits of stevia, as dietary fibers help to digest the sugar in a more wholesome manner. With all this extra sugar knowledge burning away in your brain, only one question remains. 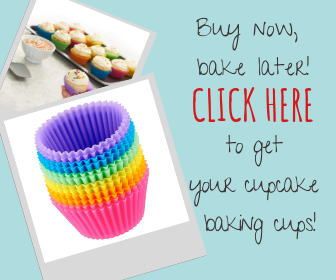 What are you going to bake next?